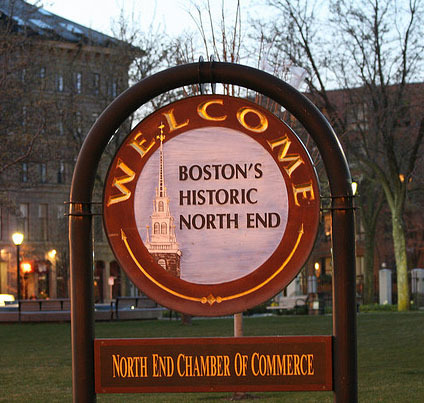 The North End embodies community living at its finest, offering a unique blend of rich colonial history and European charm. Conveniently located a short walk from Faneuil Hall Marketplace and Boston’s Financial District, residents enjoy an exciting selection of some of Boston’s best restaurants and retail shops, including some of the best Italian eateries in all of New England. Residents enjoy the ultimate urban lifestyle, with colorful markets and convenient services located around every corner. Many of Boston’s most famous cultural attractions such as the TD Garden, and Boston’s celebrated Freedom Trail sites are just outside one’s doorstep. Professionals living in the North End enjoy a short walk to Boston’s Financial District and easy accessibility to Boston’s many cultural amenities. Public transportation, major highways, and Logan Airport are only minutes away. Residents of the North End satisfy all their fitness needs at nearby gyms and health facilities, running on the nearby Harbor Walk, or at the local tennis courts, swimming pools and skating rink. Area parks and Boston’s famous wharves provide the ideal setting for a weekend stroll or jog, and offer spectacular harbor views. As residents of the North End often say, you have to live here to understand. 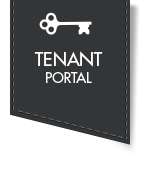 View our apartments and start your life in our favorite Boston neighborhood. The Freedom Trail is marked by a solid red line through downtown Boston, that leads to 16 significant historic sites. It is a 2.5-mile walk from Boston Common to the USS Constitution in Charlestown. The Paul Revere House (1680) was the colonial home of American patriot Paul Revere during the time of the American Revolution. It is located at 19 North Square, Boston, Massachusetts, in the city’s North End, and is now operated as a nonprofit museum by the Paul Revere Memorial Association. The Old North Church is the oldest active church building in Boston and a National Historic Landmark. Inside the church is a bust of George Washington, which the Marquis de Lafayette reportedly remarked was the best likeness of him he had ever seen. The streets of Boston’s North End have been in no small part defined by the ongoing legacy of Annette and Mike, their ancestors and enormous extended family and the spirit and inspiration brought to the North End of Boston by this neighborhood-defining family. Since its grand opening in 1995, more than 30 million people have come to the TD Garden to see the arena’s famous tenants, the NHL’s Boston Bruins and NBA’s Boston Celtics, as well as world-renowned concerts, sporting events, family shows, wrestling, ice shows and so much more. Home to approximately 200 public events annually, the TD Garden hosts well over 3.5 million people each year. The New England Aquarium, which opened in 1969, is a global leader in ocean exploration and marine conservation. The Aquarium is one of the premier visitor attractions in Boston, with over 1.3 million visitors a year, and a major public education resource. The Rose Fitzgerald Kennedy Greenway is Boston’s newest linear urban park – a ribbon of landscaped gardens, promenades, plazas, fountains, art, and specialty lighting systems that stretches over one mile through residential neighborhoods, the Financial District, and Harbor communities.